Another good example of this is the entire first ward of the city of Boston for 1860, enumerated by William B. Tarleton. 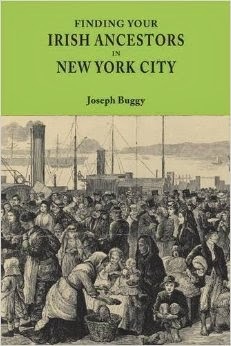 There are over 400 pages here, with many Irish counties given as places of birth, as well as many US cities. 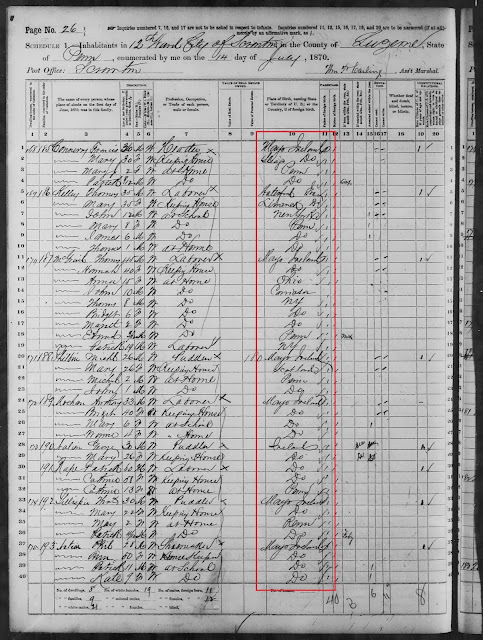 I stumbled across a neighborhood of County Cork natives while researching for a client, and now I use a page from this census as an example of "chain migration" in one of my workshops. Wish there were more! Thanks for your comment. You are right, that is a very valuable example. I wrote about it in my column in this months edition of Irish Lives Remembered (Massachusetts research), the free genealogy magazine. I will be highlighting many more such examples over the coming months.